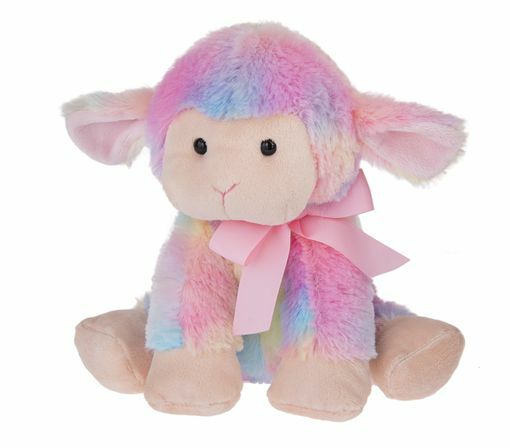 This Sugar Swirl Lamb plush toy from Ganz is absolutely adorable. It measures approximately 10 inches and has beautiful swirly colored plush. This huggable plush lamb will delight toddlers and kids of all ages with its ultra soft plush fabric. This sweet lamb is from the Ganz Easter plush collection. Plastic eyes. Suitable for ages 4 and up.